Bioethicist Jessica Croft, estranged daughter of a federal judge, has avoided the players, power, and passions of Washington, DC. But when her sister’s suspicious death is classified as natural, Jessie resolves to expose the murderer. Pursuing elite suspects on both sides of the stem-cell-research debate leads her to security consultant Michael Gillette, who knows more about her sister than he’ll admit. Michael has a vested interest in Jessie’s plight. Her sister died on his watch—while he wasn’t watching. His plan to find her murderer becomes complicated when Jessie’s father hires him to protect Jessie, and his interest turns from professional to romantic. Jessie and Michael must unravel a mystery rife with political agendas and deceit. When confidential papers reveal a fertility scandal surrounding the enigmatic Girl Three, the two realize the danger of exposing the truth. Who is Girl Three? And will the murderer kill again to keep a secret? Mrs. March, thank you so much for doing an interview for the readers of Bibliophilia, Please. Would you mind telling us a little about Girl Three in your own words? Bioethicist Jessica Croft finds out her lobbyist sister’s suspicious death was classified as natural, but she suspects murder. Jessica heads to Washington, DC, and finds herself pursuing elite suspects on both sides of the stem-cell-research debate. She joins forces with ex-Secret Service agent Michael Gillette, who is somewhat irresistible, but he has secrets of his own. They ultimately reveal a controversial fertility scandal that involves the mysterious Girl Three. Jessica risks her career and her life to expose a murderer. I was inspired by the book The Baby Business by Harvard professor Debora Spar. The book examines how money, science, and politics drive the commerce of conception. I was fascinated and disturbed when I learned about the fertility industry and its controversial elements of stem cell research, surrogacy, egg swapping, human cloning, and designer babies. After reading The Baby Business, so many “what-if” questions began to flood my mind and gel into the story that ultimately became Girl Three. So I suppose I’d say the situation came to me first. Which character was your favorite to write? Did you have any characters that made a larger role for themselves than what you originally intended? I enjoyed writing so many of the characters in Girl Three, particularly since it was such a diverse cast. I’d have to say my favorite to write was Michael Gillette. I just related really well to him and his plight, and I always felt comfortable when he was on the page. I didn’t have any characters in this book that made a larger role for themselves than I intended. The story was pretty well plotted and the character roles developed before it was written, and I stuck with that plan pretty closely. What makes Girl Three stand apart from other political thrillers? The story does feature elements of politics, but it’s also about science and medicine, dysfunctional family dynamics, and romance! I chose to make Dr. Jessica Croft a bioethicist—a PhD who is focused on the typically controversial ethical questions brought about by advances in biology and medicine. She was the perfect amateur sleuth to solve the mystery of Girl Three. What was the most interesting fact that you found while researching your novel? I was most amazed by what I learned about the advances in fertility treatment, as well as the vast array of reproductive choices people have now. People are literally able to specify certain characteristics of a designer baby and, through preimplantation genetic diagnosis, come pretty close to creating their idea of the perfect child. I’ve been influenced by so many talented writers but I’ve been most strongly influenced by Sandra Brown. 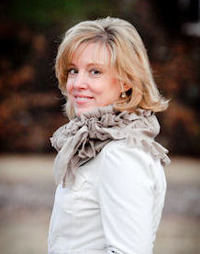 She writes incredible romantic thrillers and contemporary romances. I think I’ve read every one of them. Her career has been long and amazing, and she continues to put out highly anticipated, satisfying novels. I had the opportunity to meet her last year at Thrillerfest. She was so kind and gracious, and treated me just like a friend. It was a total fan-girl moment for me! Believe it or not, I’m currently reading a textbook that my niece used for one of her college courses last semester. It’s called Why Zebras Don’t Get Ulcers: The Acclaimed Guide to Stress, Stress-Related Diseases, and Coping by Robert M. Sapolsky. Light reading, huh? ;) Actually, I always love learning more about biology, physiology, psychology and behavior. The psychology and behavior elements really help me more deeply develop the characters in my books. Thank you so much for stopping by, Mrs. March! Purchase your copy of Girl Three today! 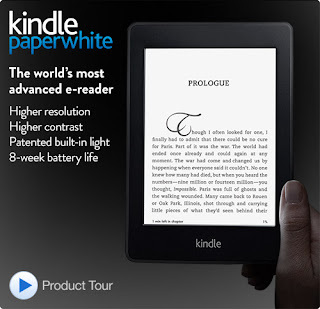 Enter to win a Kindle Paperwhite or one of Five Rings!